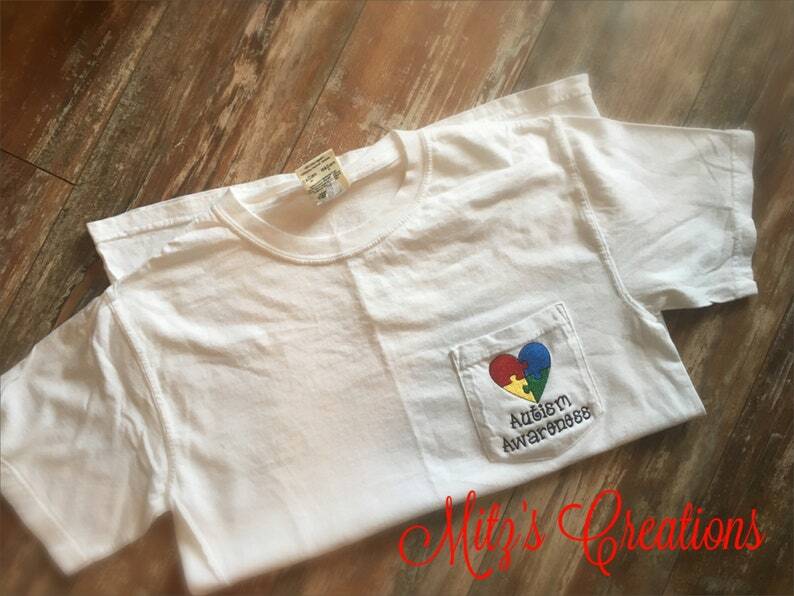 Embroidered Heart made of puzzle pieces with Autism Awareness underneath. Questions? Please feel free to message us, we are glad to help!